**You can sub homemade using ingredients in list plus onion powder. What do the numbers in () mean? For example, Hard Boiled Eggs (0). My apologies if you covered this somewhere but I can’t seem to find it today. Thank you! Amazing! I own all your cookbooks but save all of your meal plan emails. Thanks for including the smart points. Makes following weight watchers easy too. Keep up the great work. Happly Holidays. Wishing you and your family a great new year. I love love love your meal plans. Perfect for my schedule and our family of 4. Thank you and please keep sharing! Thank you so much for these meal plans! I absolutely love them. I’ve been using them every week! Please keep making these. I just discovered them and they are exactly what I was looking for. 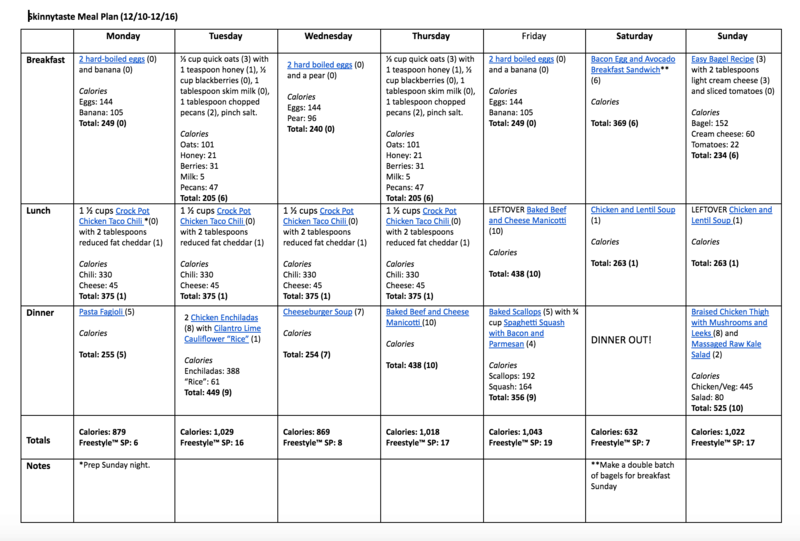 My husband and I just almost completed our first full week and I am soo happy with your recipes and plan and I hope it will help us on our road to better health! Thank you so very much please keep sharing! Please do keep sharing. I’m a busy mom and Ginsburg time to think of something fresh and fun to eat can be very difficult. My husband loves following recipes si we’ve following the meal plans. They are delicious!!! I am dairy free and would love to see more dairy free recipes on your site! This is my first time following one of your meal plans, or meal planning and prepping in general. Today I prepped several meals. I feel a bit overwhelmed but I hoping after this week that it gets better. I am making the braised chicken as one of the first dishes, as the mushrooms I bought I do not think will last seven days. I am excited to see how this goes!!! I have made several of our recipes and loved them all so far! Just read that you are planning to keep these going next year and I couldn’t be more excited!! These recipes have helped me get back on track with my health goals and back on track with my budget. Love them and thank you for taking the time to post. I love that you have simple, basic meals and make use of leftovers for lunches. I don’t have time or desire to cook every single meal every day, so this works well for me. Thanks for making my life a bit easier! If I forget, I always find myself coming back to use these plans. Very grateful for this site! Made the Braised chicken thighs with leeks and mushrooms last week and they were phenomenal! Very easy to throw together and the whole family loved it- toddler included! I love using these plans. I love these plans!!! Thank you for creating them! Just one more step I don’t have to worry about! Hi Gina. 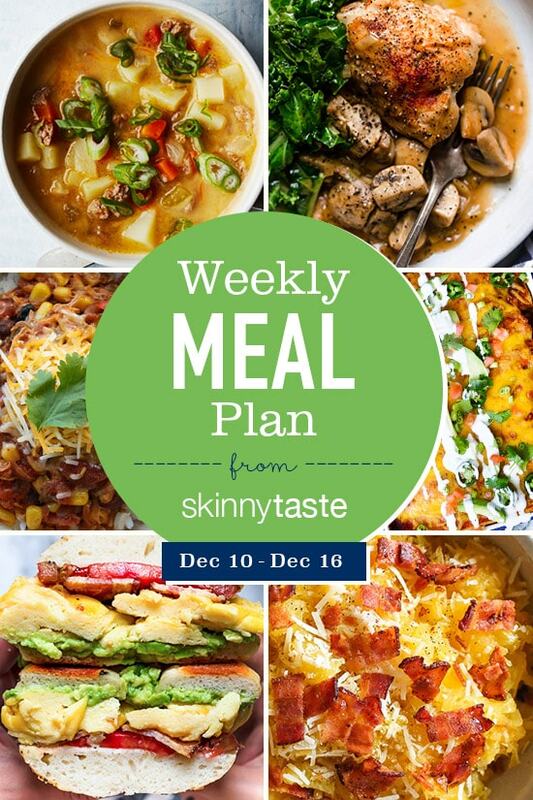 Love your site, the meal plans & tasty recipes. You repeat many of your recipes which is great. I like to make big batches and freeze, so this works well with repeat recipes. do you have these covered in one of your cookbooks? or can you indicate which ones are suitable for batch freezing? I made a triple batch of the turkey greek meatballs and naked salmon burgers. These are both so delicious and are great for those nights when I get home late. Cheers! Look at the FF symbol to the right, those are all freezer friendly if you click on them. You asked for feedback about whether your readers are using your weekly meal plans. I’ve been struggling with my weight for the past few years and I think I’m at the point where I want to work on what I’m eating. I’ve had success with Weight Watchers before, but don’t want to go to meetings again. I was hoping to start using your weekly meal plans in the near future, so I hope you don’t discontinue them! Thanks for all the work you do to make recipes for healthy food available. These are so very useful for our busy family of 9. Please, keep sharing!